It's the last day in November! 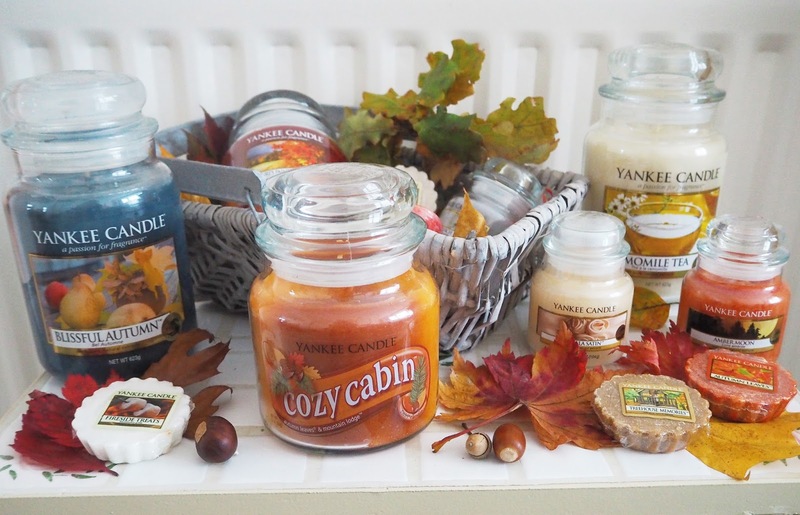 So before December hits and all my Christmas candles and accessories come out of the loft I thought I would share with you a selection of my favourite Autumn Candles that I've been enjoying over the last few months. Nothing gets me more excited for the change of seasons than switching up my candles - does that sound sad?! I really find they help with the transition though! 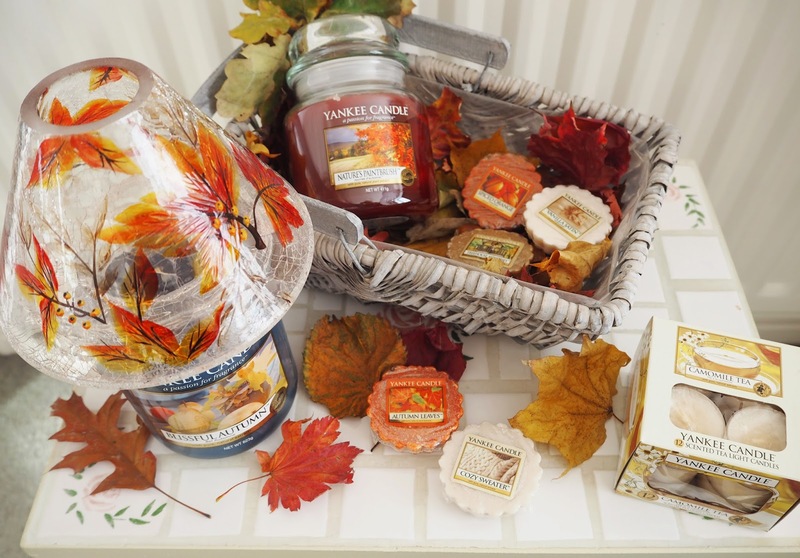 All of these fragrances are from Yankee Candle and some of them are rarer than others so may be quite hard to find now, especially in the UK. However I have listed my favourite online candle outlets at the bottom of the post and you'll have the best shot at finding them there. 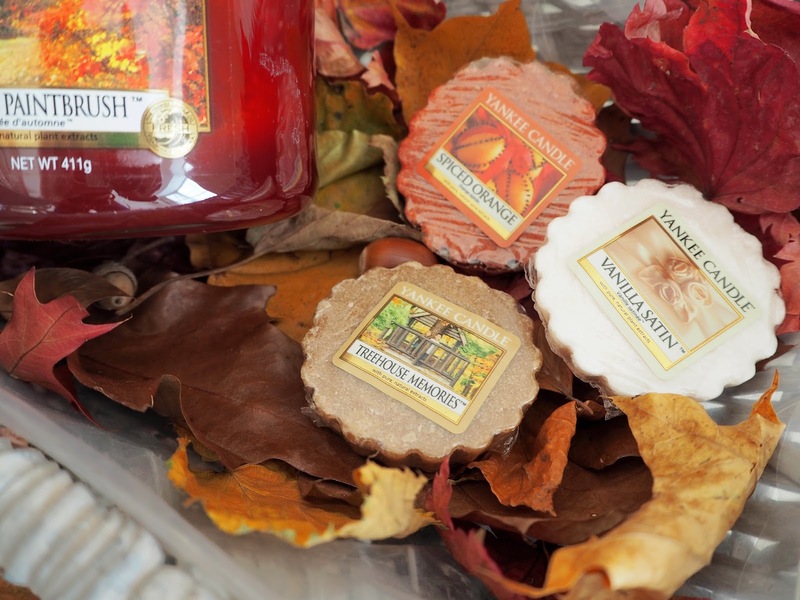 For me the beauty of autumnal fragrances is the warmth and the cozy feeling they create. 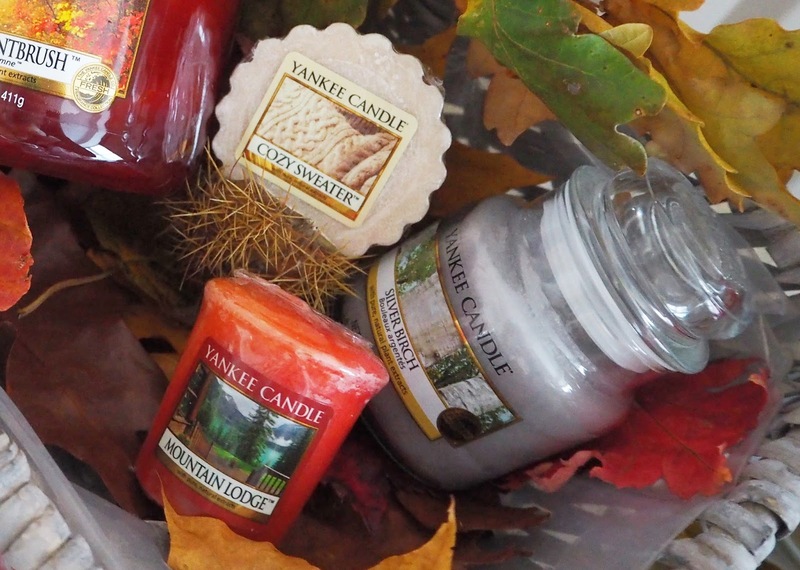 From the warming, sweet and foodie fragrances like marshmallow, vanilla and pumpkin. 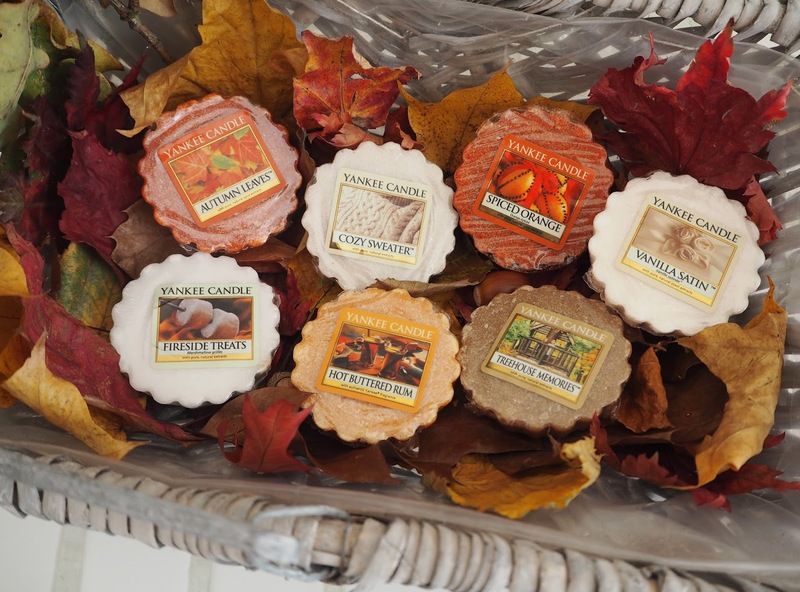 To fruity scents peppered with cinnamon, ginger and cloves. To the fresh, woody and leafy fragrances emanating a crisp forest walk. 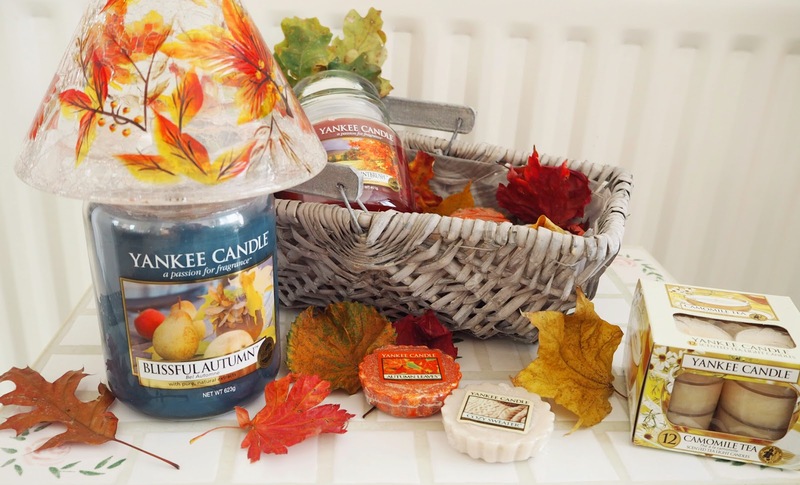 I love how autumn candles are usually coloured in very seasonal hues of bright-rusty orange, golden yellows and browns. So they make my interior decor look season just by simply changing my candles around! 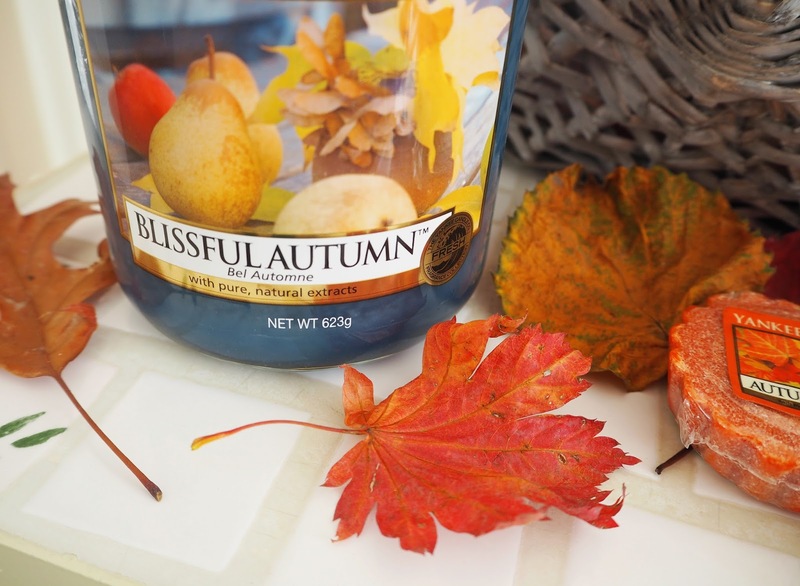 Blissful Autumn: This one is for the fruit lovers! 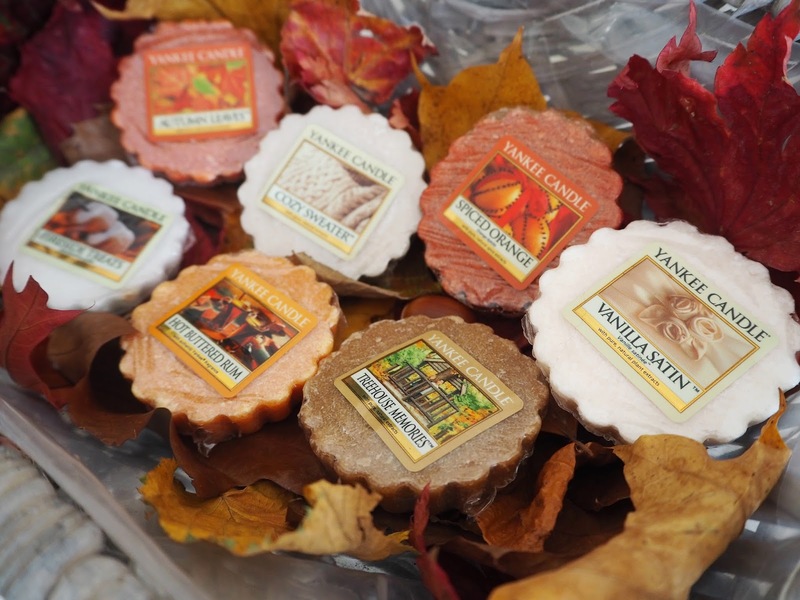 I have melts of Blissful Autumn stockpiled as it has sadly retired now. To me it smells like stewed apples and pears spiced with cinnamon, so I just want to eat it! "Reminiscent of crisp autumn air with orchard fruit breezes...blissfully brisk and woody." Camomile Tea: This is up there with as one of my all time fragrances from Yankee Candle! I've stockpiled some of this, luckily as it is retired now (please bring it back!). It is probably one of the mostly relaxing scents I've ever tried and used to burn/melt it all the time when I got back from hospital treatments. I have a lot of history with this candle! "The wonderfully soothing aroma of Chamomile and Honey steeped with tea leaves and a touch of citrus zest." Nature's Paintbrush: Just look at the picture on the front of this one! Autumn through and through. I really like the woody & musky undertones in this candle yet it still has a freshness, like a woodland walk. I find it's nice enough to have burning all day long. 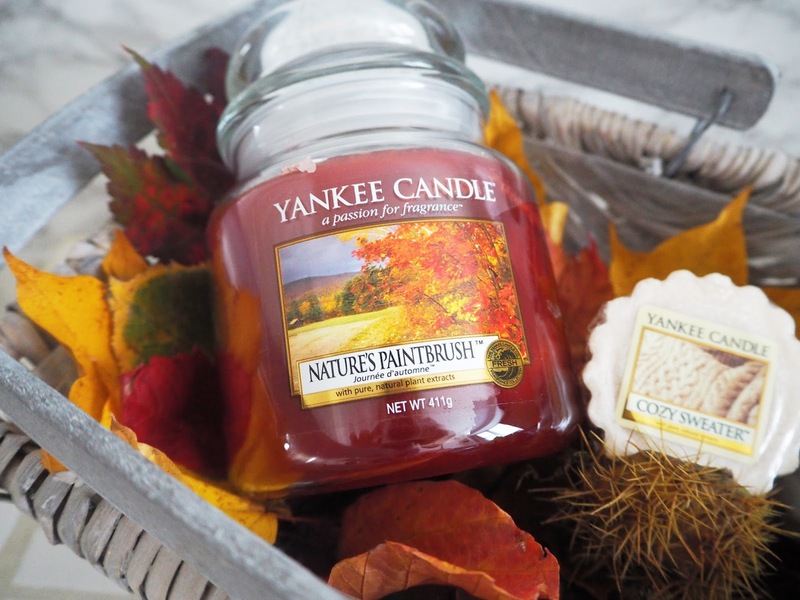 "A perfect autumn day captured in radiant, aromatic strokes of brisk air, spicy woods and warm musk." Fireside Treats: The uber sweet marshmallow-ness is contrasted by some toasty embers making this candle such a delight to have burning. I get through so many wax melts of this one! "The joys of camp . . . mesmerized by the fire, singing and laughing, while toasting marshmallows to rich, gooey perfection!" 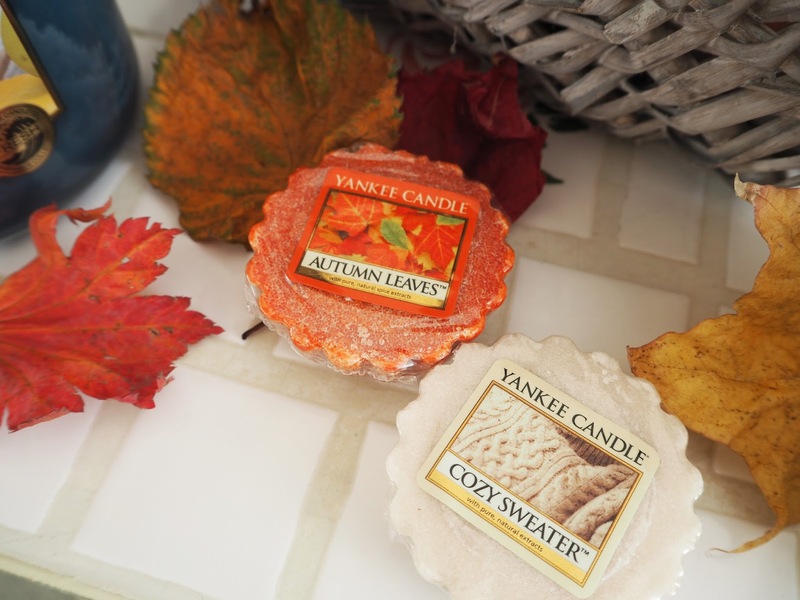 Autumn Leaves: This scent is very hard to find in the UK now but I managed to snaffle a few wax melts from Yankee Scents 4U a while back. It has a really long description so I'll just leave it there! "When the leaves turn their brilliant shades of gold and red, fall has cast its hypnotic spell. But the naturally fresh, woody smell of leaves in the brisk autumn air, almost effervescent, has a more lasting, more memorable effect on us. 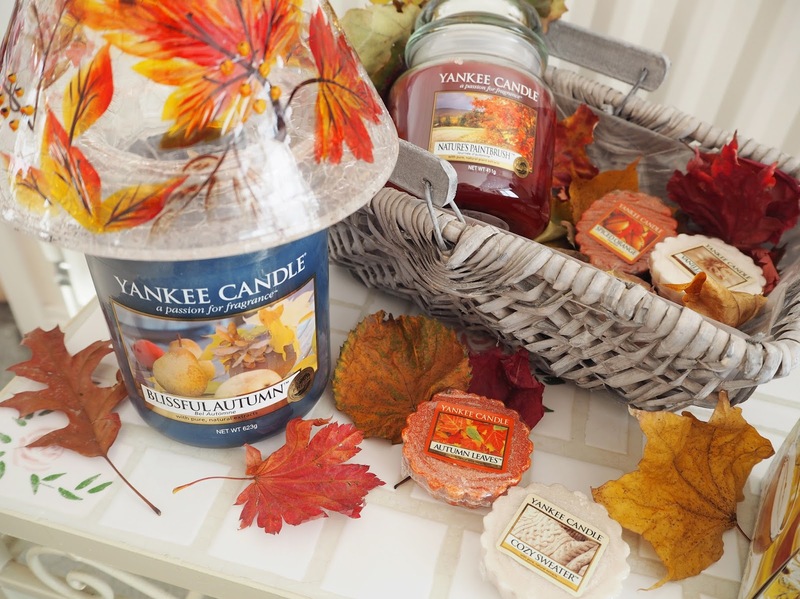 This vibrant medley of birch and maple leaves, with pomegranate, juniper berry, and orange blossom added to the blend, brings the glory of fall joyfully to every room in your home." Cozy Sweater: I didn't know what to expect when I first tried this one! To me it is cozy and comfortng without being an overpowering scent. "Ooh, there's nothing quite as comfy as curling up in a sweater, soft as a flower petal, with warm touches of musk and patchouli." 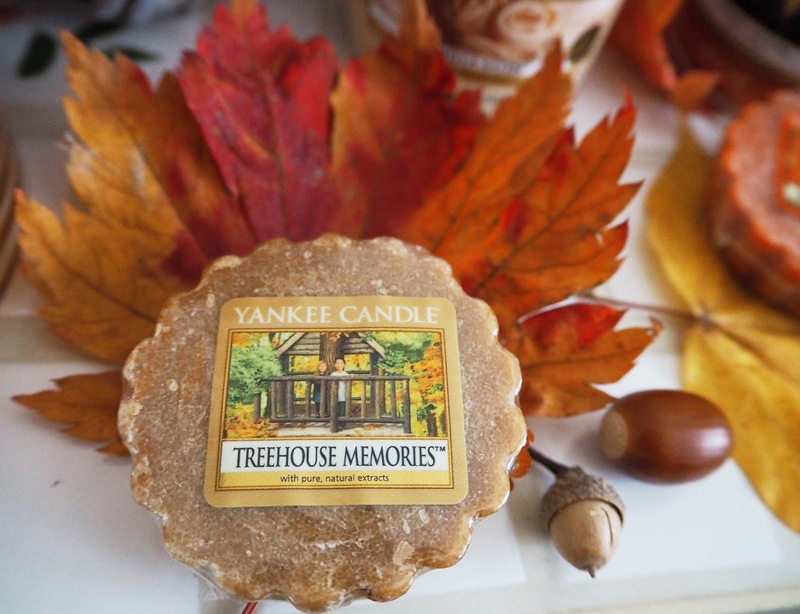 Treehouse Memories: Just the name of this candle is adorable! I've never managed to get it in anything other than wax melt form as it a rare one in the UK. 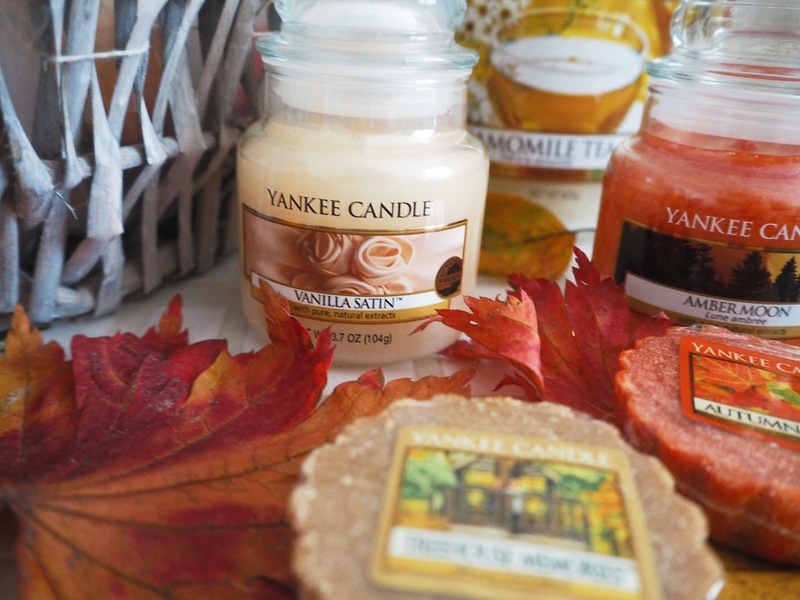 "Warm, earthy woods wrapped in sweet, familiar spices evoke memories of crisp Autumn days spent amongst the changing leaves." Amber Moon: A fresh fragrance with some warmth to it. It reminds me a little bit of YC's Golden Sands, a summer favourite of mine. "The enchanting allure of warm golden amber in the evening breeze with the added intrigue of patchouli and sandalwood." Vanilla Satin: This one is less foodie & sickly than a Vanilla Cake fragrance which I prefer. It's beautiful! "Sophisticated. Classic. A smooth blend of rich vanilla, romantic flowers and sensuous sandalwood." Silver Birch: Fresh and beautiful for burning all day long without it coming overpowering. "Autumn is in the air. . . the slight crispness of an early fall breeze mingles with the spicy dryness of just-turning leaves." Mountain Lodge: A slightly deeper and more cologne type fragrance than Silver Birch that very much evokes an Autumnal feel. 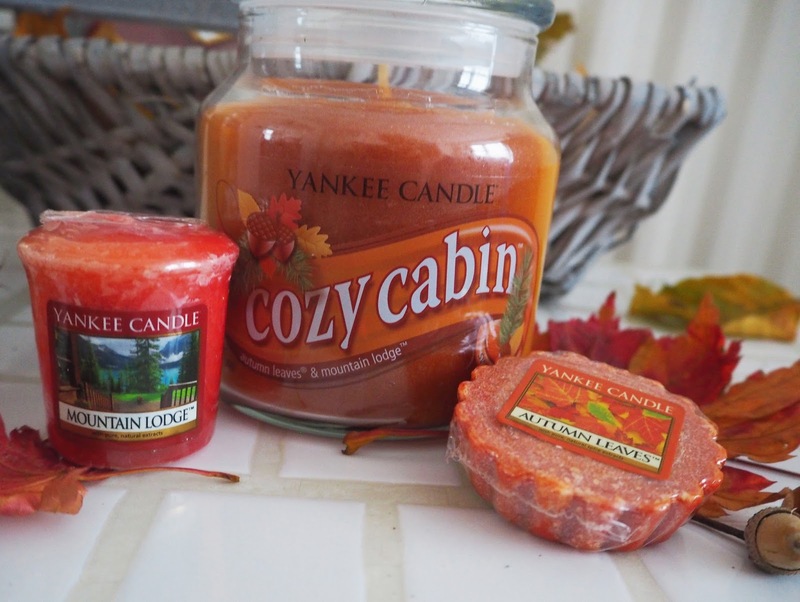 "A luxurious retreat in front of a cozy hearth, warm with the aroma of cedarwood and sage." Spiced Orange: Another one that is up there with my all time favourite Yankee Candle scents, it's just perfectly delicious! I find it works for Autumn and Christmas time as well. "This bright, cheery blend of sunny citrus and snappy ginger is the perfect winter warmer." Hot Buttered Rum: Rich, buttery and cozy, this is a nice one to burn on cold dark evenings. "Nothing beats winter's chill like the cozy, warming aroma of hot rum and buttery vanilla." 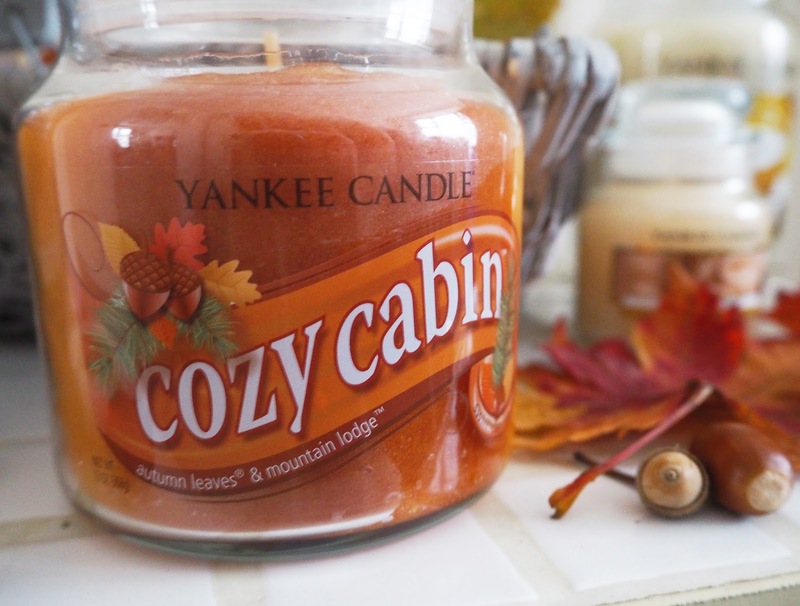 Cozy Cabin Swirl: When it comes to candles I'm a burner more than a collector, I just can't resist lighting them! However I'll admit I do make an exception for these limited edition Swirl Jars as they're just so pretty plus they're rare. The swirl candles are a blend of two iconic YC scents to create one unique fragrance. In this case it is Autumn Leaves & Mountain Lodge (both described above). 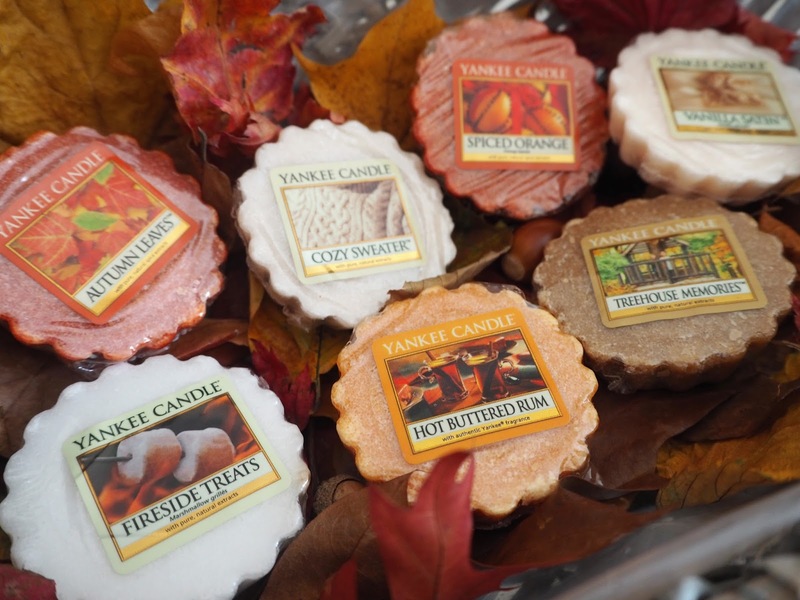 You create the same scent by melting half a wax melt of each individual fragrance together in your burner or use one melt and one votive like I did. Pomegranate Cider: I do love the fruity scents and this one is welcome twist on the usual Apple spiced candles that are so often around. "A fall treat . . . tart pomegranate juice with sweet vanilla and spicy notes of cinnamon and cloves." Banana Nut Bread: This is a lovely one to burn in the kitchen especially if you want to give the impression that you've been baking something delicious! "Sit back and enjoy this tasty pairing of toasted walnuts and just-peeled bananas." Shade: I found this falling leaves jar shade a couple of years ago. 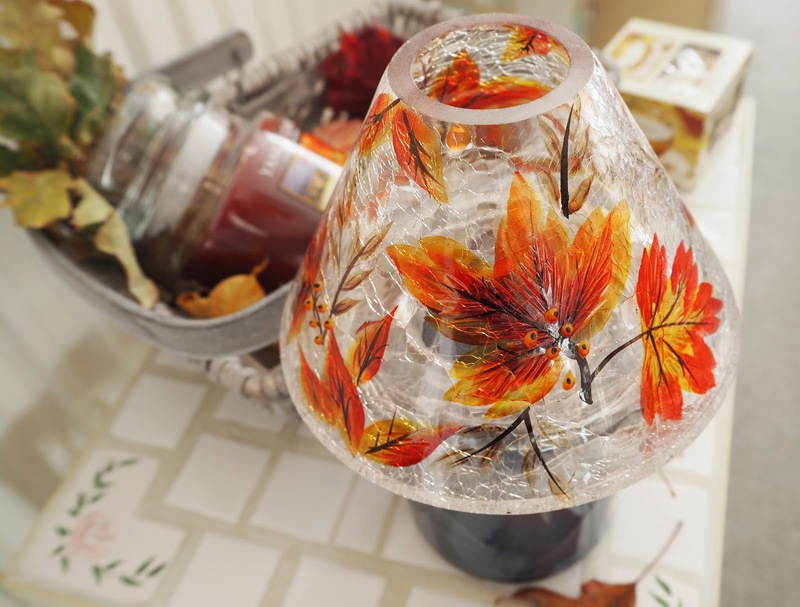 I love the fiery colours and how the crackle glass makes the light dance around the room when the candle is lit. It also helps the candle underneath to burn cleanly and adds a lovely seasonal touch to my decor too. 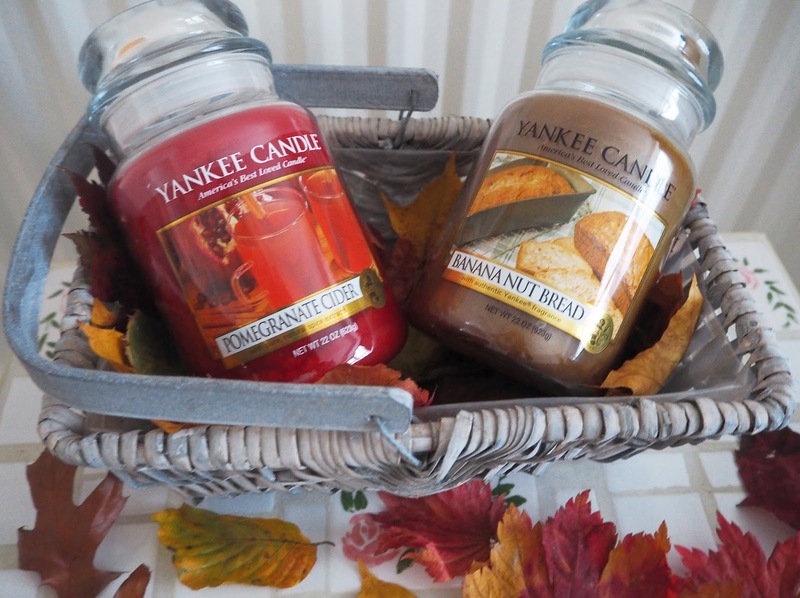 What are your favourite fragrances/candles to burn around Autumn? I would love some new recommendations!